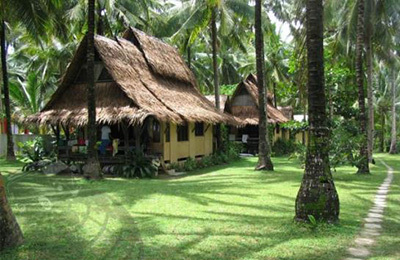 Accommodation is located 10 minutes via palm boat to the centre of General Luna and Cloud 9 Surf Break. Located in Barangay Libertad. It has a private beach, 20 metres from the villa. We have amazing staff who will tend to all your needs, from room service, massage and tourist activities. They have the inside local knowledge on where to go on the island. Our caretaker Armando, is a local fisherman who owns the two palm boats available for hire. He can give you the most amazing island hopping and surfing experience. The retreat package includes tourist activities, such as island hopping to the neighbouring islands, such as Daku Island and Naked Island. Day trips to Tuk Tuk falls and Magpupungko Rock Pools, road trips around the whole of Siargao, Diving and snorkelling in the most beautiful part of the island (just off our own beach). The retreat dates is from September 30th 2018 to October 11th 2018 only. The retreat is suitable for anyone who is looking for a retreat that combines surfing epics waves with Taoist Meditation and Qigong, plus education on complete body health management. A beach front paradise, accommodation is located close enough to access the main area of General Luna, yet far enough away from the hustle and bustle. Each bedroom can be furnished with either 1 queen bed or 2 king single beds.Private white sand beach, 20 meters from the villa, you can snorkel off our beach and experience the most amazing snorkeling experience. The retreat package includes all meals, snacks, and desserts. We can also tailor meals for any with dietary requirements. The kitchen includes a fridge, oven and gas stove. The floors are polished concrete and the roof is made out of nipa leaves. Air conditioning is not included, as the venue is extremely cool. 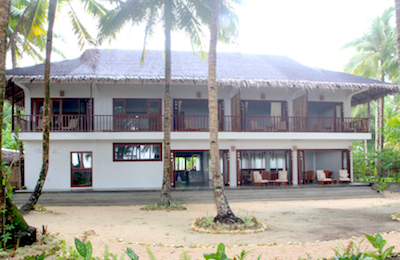 Located under coconut trees with the fresh ocean breeze. Tao de Libertad is situated away from the hustle and bustle of the main town, GL. It is a quieter part of the Island, and feels like you are in the middle of your own tropical getaway. You can go on amazing adventures and experience the culture, around the local towns of Sta Fe and Libertad. (Only a 5 – 10 min walk). You can also venture out the back through the rice fields. The average temperature is 25 degrees tropical weather. The schedule for the retreat is based around surfing; and the tides, swell and winds to get the best possible conditions. Every day we will start the morning with a meditation and morning joint rotation and Qigong warm up. Then after every surf, I will be showing you all of the Body rehabilitation work and compensation techniques to reset the body. After food etc, I will be passing on more techniques and philosophy around the meditations and add more depth so that we can then practice them in the following days. Our goal is to surf as many times a day as our guest wish while getting the absolute best possible condition. Allowing for tides winds and swell directions, we will know (most of the time) where we will be headed for the first surf each day. With this in mind… our schedule for morning meditation and breakfast can change due to where we will be surfing. The accommodation is situated away from the hustle and bustle of the main town, GL. It is a quieter part of the Island, and feels like you are in the middle of your own tropical getaway. You can go on amazing adventures and experience the culture, around the local towns of Sta Fe and Libertad. (Only a 5 – 10 min walk). You can also venture out the back through the rice fields. The closest surf break is Rock Island and Stimpey’s, which is 10 mins across from the venue, via Palm Boat and the famous Cloud 9 Surf Break. We have 2 private palm boats, which you can board straight off our beach for island hopping or surf trips. Motorbikes and Multi-cab hire is available for any trips around the island. The bars, restaurants, night life and supermarket are located 20 mins away. The retreat package includes transfers to and from Sayak Airport. This is a 40 minute trip to the accommodation. A van will await you as you disembark from the plane. In fact you don’t have to put your hand in your pocket again. Unless of course you want to buy some souvenirs around the islands. "Quite and beautiful Island we stay there for a couple of days..I love to go back there." "We stayed in Libertad Meditation Surf Retreat with my family for a couple of days and surely the place was so peaceful and quiet, the room we had was so nice. Rooms are big, comfortable, and very clean too. I'm going to miss waking up early morning opening the curtains and watching the ocean while laying on bed or sitting on a chair. Also the food is really good as well, "Good Food, Good People, Good Times". For me is truely the best way to escape for a while from a stressful job/city life." "Libertad and Siargao are beautiful places to visit. The retreat centre​ is fabulous. It's in a fantastic spot, right on the beach with beautiful coral and​ tropical​ fish​ right out the front​ with​ crystal​ clear blue water. We had a great​ stay!"